Modern fit. Ribbed collar. Contrast taped neck with decorative stitching. Denim-look inner placket. ..
Fitted style. Self fabric collar and cuffs. Rib cuffed sleeves. 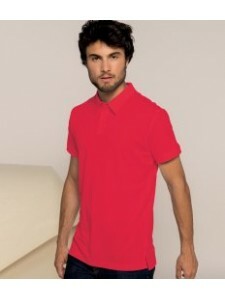 Three self colour button placket. Si..
Soft touch single jersey. Stylish fit. Self fabric collar. Taped neck. Two self colour button placke..